This image is a special, seasonal piece created by Rod Chase as a fundraiser for The American Cancer Society of Northern Georgia. 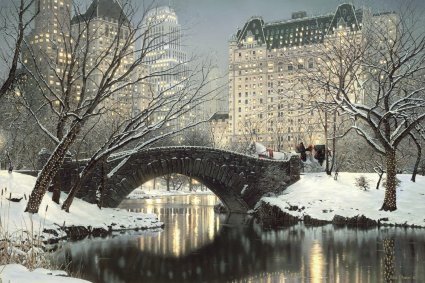 The artist's most popular release, "Twilight in Central Park," has been cropped and enhanced with holiday lighting and a horse drawn carriage festooned with red ribbon. This special edition of 5,000 will generate funds to fight the battle against cancer. 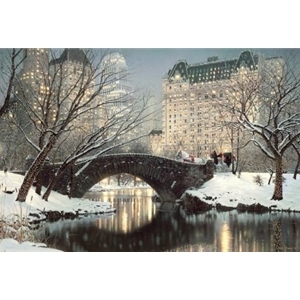 Somerset Fine Art is offering a larger, 24" x 36" image in an edition of 750 to dealers. A portion of the proceeds from this edition will be donated to this very worthy cause.